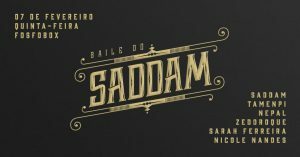 Baile do Saddam @ Fosfobox (Copacabana) – It’s the twenty-fifth installment of Saddam’s famous ‘baile’ (party) on one of the most inclusive and democratic dancefloors in Rio’s ‘Zona Sul’ (South Zone). This is a party that always goes until dawn, with the DJs dropping the best hip-hop, baile funk, r’n’b and pop hits all night long. 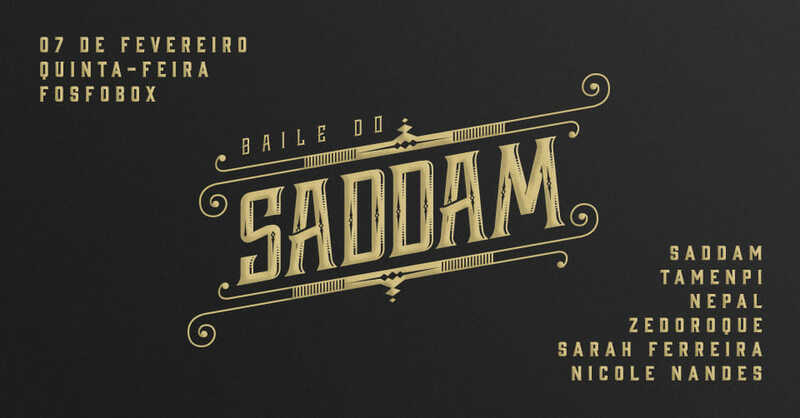 Playing tonight on the main dancefloor are Saddam, Tamenpi, Nepal, and Zedoroque. And in the Fosfobar there will be sets courtesy of Sarah Ferreira and Nicole Nandes. The doors open at 11:30PM with the first fifty entrants getting a free Heineken. Tickets are from R$10-R$30. 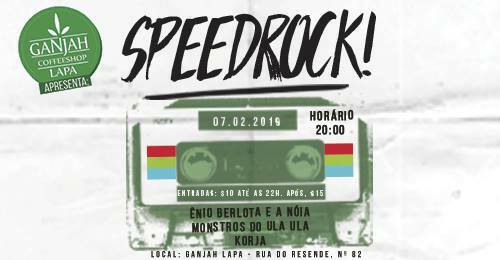 Speed Rock @ Ganjah Lapa (Lapa) – This Thursday, Ganjah Lapa is rocking! The Speed Rock party opens its doors to three bands from Rio’s homegrown scene who will be playing live tonight. Korja are a band influenced by The Ramones, The Misfits, Bezerra da Silva and a touch of a Jamaica thrown into the mix. Enio Berlota and Noia will be presenting an intense mix of rock, funk, soul and pop. Monsters Of Ula Ula will be playing some top surf rock and punk metal. Then there will be a DJ set courtesy of Rodrigo Coimbra. 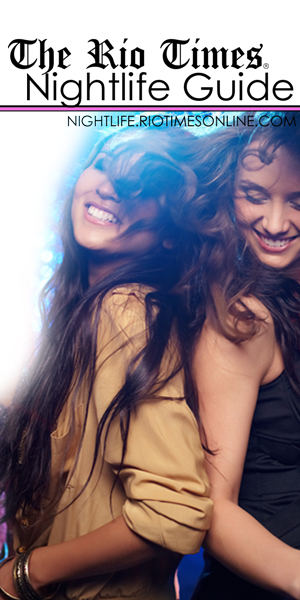 Tickets are between R$10 – R$15 and the night gets going at 8PM. 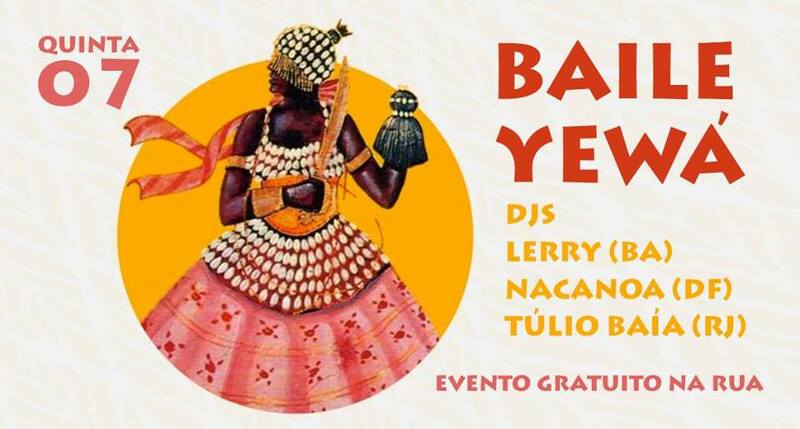 YEWA: Sons do Brasil @ Bar do Nanam (Centro) – This is a musical meeting of DJs, researchers and producers from diverse regions of Brazil seeking to showcase their rhythms, productions and sounds in a night that promises to be full of excitement and new discoveries. The featured acts are Lerry, a music producer from Bahia who will be playing a mix of pagodão, samba reggae and afoxé; From Brasília comes the music producer and multi-instrumentalist Geninho Nacanoa, creator of Forró RED Light, with its mixture of northeastern rhythms and modern sounds; Túlio Baía is a journalist and producer from Goiás who will be taking the crowd on a psychedelic trip through the music of the Amazon basin. This free event starts at 10PM. As always Bar do Nanam ask participants to patronize the bar and contribute to the musicians’ hat.